Replace your stock wire set with the ECHO 1 Low Resistance Wire Set for M4 (Back). 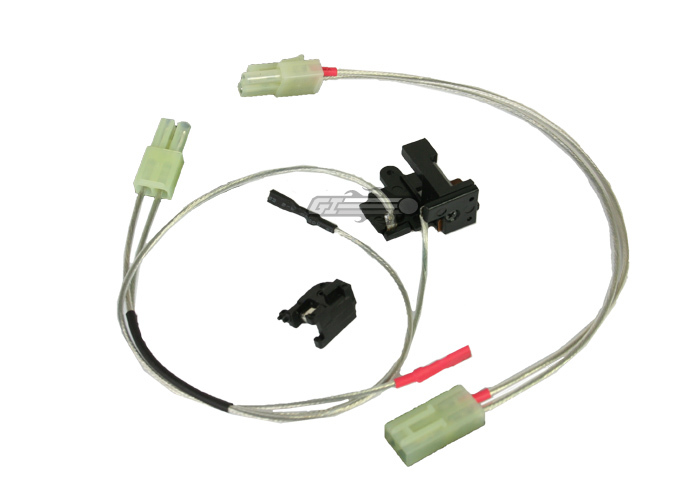 Low resistance wires more efficiently transfer energy from the battery to the motor, which improves trigger response and may slightly increase rate of fire. Did not fit in my GB it was even and Echo 1 gearbox. Concact rails scratch along, not smooth. I had the same experience as J. Wallis. I bought this to replace the damaged wiring in my m16. I had to melt down some of the base so it would even fit in my gearbox, and I filed and sanded the plastic rails on the switch, because they were rough. The connectors also pull out of the housing easily, and the extension does not reach the rear of the stock, and is mini tamiya. quality, the price reflects it.